A problem with Metro's fare machines was resolved late Monday afternoon after the machines had trouble processing credit or debit card transactions for much of the day. 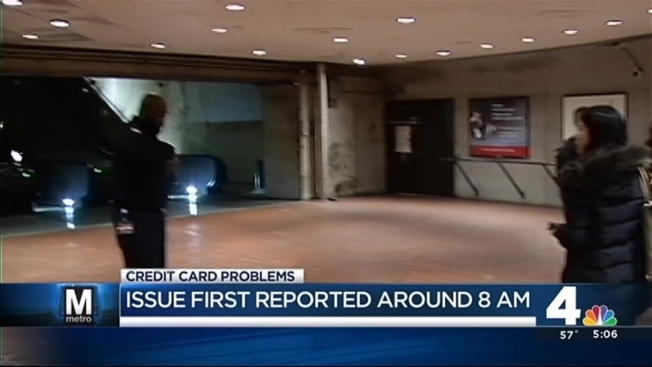 "Fare vendor issue resolved – credit and debit card transactions resume," Metro tweeted around 4:15 p.m. The nature of the problems had changed throughout the day. The trouble started early Monday morning, when some machines stopped accepting debit cards or making credit card transactions for amounts greater than $20. But about 2 p.m., Metro's official Twitter account had even worse news for riders: "Metrorail fare vendors are currently unable to process Credit/Debit card transactions. Customers are advised to use cash." Online purchases were also down during that time. @Metrorailinfo tweeted that the problem was "impacting online purchases to add fare value as well." During the downtime, passengers were advised to use cash instead.